The Permanent Mission of Lithuania to the United Nations together with non-governmental organizations in the margins of the Assembly of States Parties to the Rome Statute of the International Criminal Court on 11 December held a round-table discussion on the role of the International Criminal Court in ensuring accountability for the ongoing human rights violations in Ukraine. “The violations of international human rights and humanitarian law in parts of Ukraine under the control of armed pro-Russian groups are in the centre of attention of the United Nations and other international organizations. The international community must also place in the spotlight the deteriorating human rights situation in occupied Crimea. 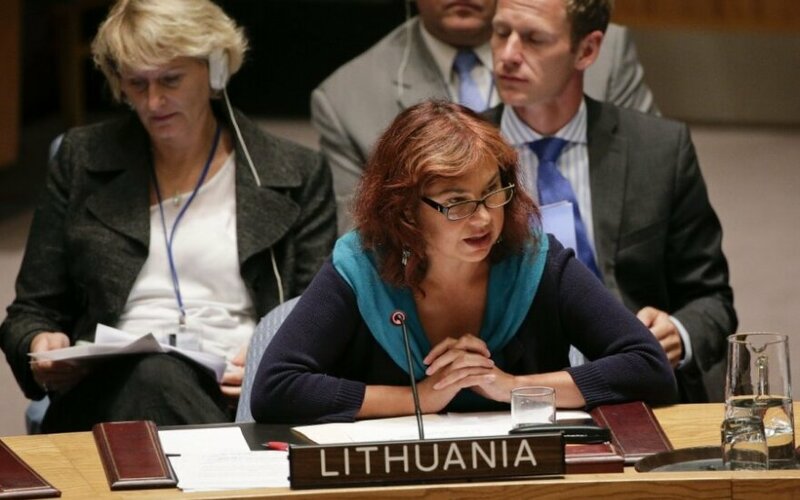 It is necessary to investigate and ensure accountability for human rights violations in Ukraine,” said Permanent Representative of Lithuania, Ambassador Raimonda Murmokaitė at the meeting. 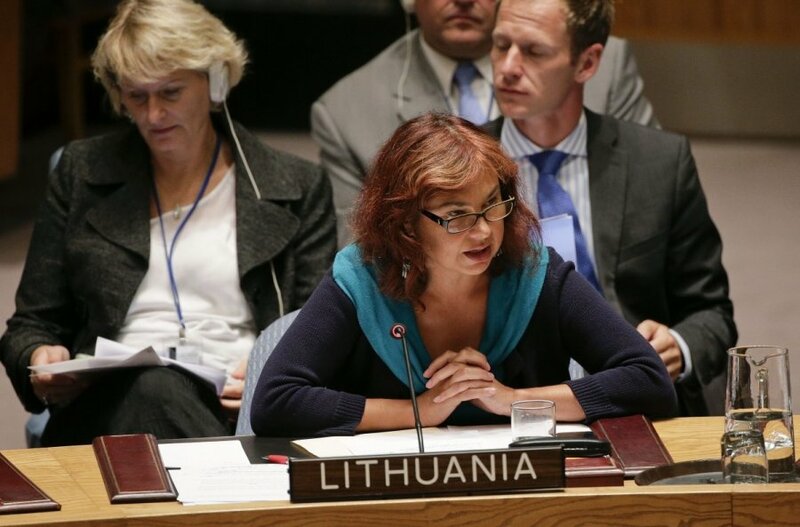 She underlined that Ukraine had clearly voiced its determination to ensure accountability for human rights violations. According to the Ambassador, it is important for the European Union, the Organization for Security and Co-operation in Europe, the Council of Europe and the United Nations to provide all necessary assistance to Ukraine, such as capacity building assistance, also in the area of judiciary reform, the rule of law and judicial investigation. It is also necessary to ensure that the monitoring conducted by international organizations in conflict-affected areas includes the territory of occupied Crimea. At the debate, representatives of Ukrainian non-governmental organizations recalled the Maidan massacre and called for ensuring accountability for crimes and serious human rights violations in areas under separatist control. They stressed the importance of ratification of the Rome Statute, establishing the International Criminal Court. A representative of the Office of the Prosecutor of the International Criminal Court and the Permanent Representative of Ukraine to the UN also spoke at the event. The Permanent Mission of Lithuania to the United Nations organised the round-table discussion together with such non-governmental organisations as “Freedom House”, “International Federation for Human Rights”, “Centre for Civil Liberties” and “The International Partnership for Human Rights”.